Verified Google My Business listings offer credibility, visibility, and contribute to building your brand over time, they allow you to appear in local search results with a defined location on Google Maps, meaning users can get company information, get in touch and even get directions to your location without even leaving the search engine. In recent times, however, people have been trying new ways to cheat the Google My Business system and ultimately some of these practices have proven to be successful for all the wrong reasons. I am here to tell you today why you should not follow in the footsteps of these companies, what will happen in the future, and what you should be doing instead with your Google My Business profile. 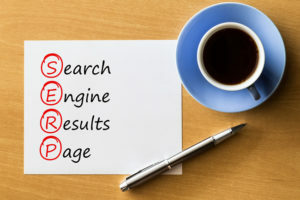 The once-popular SEO technique of ‘keyword stuffing’ sees little to no use in websites now that Google focuses on content quality and domain authority. Google is easily able to tell when keywords inserted throughout content are done so in an unnatural way, with the intention to rank for every keyword that has been ‘stuffed’ onto a page. 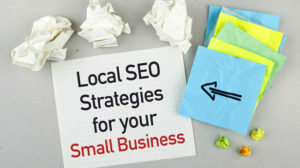 The problem lies in that this technique is currently providing results in local search listings on Google Maps and it’s not at all hard to prove. This bad practice is more commonly seen in highly competitive industries that often dedicate time and money to creating a highly visible, quality online presence. Searching for ‘Solicitors near me’ returns a top result which is quite clearly using this technique. In the same results page, we can even see a company guilty of listing themselves more than once. Visiting the website of this company showed me that the name this company chooses to brand itself under is one word, this means every extra word added is technically incorrect and inconsistent but is performing very well regardless due to the fact that it will more often than not exact match keywords with users search queries. Google puts a heavy emphasis on user-contribution for business profiles, this means we can keep the information up to date not only for ourselves but for our peers. You can suggest edits to Google My Business listings to make the information more accurate, quite often Google will accept your edits to business names if they are obviously keyword stuffing the name of their listing with the intention to rank for those search queries. By doing this you are not only discouraging this bad practice you are also creating an even playing field for companies to accurately and fairly claim their spot in the digital world. We at Search4Local recommend that you maintain consistency and accuracy in your listings, especially your Google My Business profile. Practices we have taken a look at such as the ones above can give you a quick boost to visibility but to gain traction and visibility on search engines you should not strive for nor expect instant results. Instead, you should focus on building up your domain authority and brand recognition which will reward you over time as the trust search engines put on your site and your accurate and unique content increases steadily. 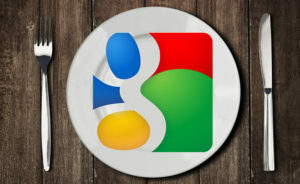 Sign in and check your Google My Business profile.